I really like Nicci French or I wouldn’t have picked the third book in such a short time. The last two I have read were the first two installments of the new series, Blue Monday and Tuesday’s Gone. Both were really good books. Unfortunately that’s not exactly the case here. 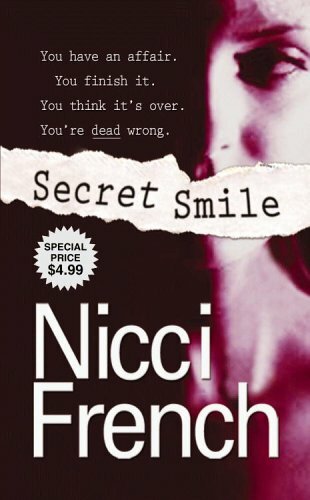 Secret Smile has a lot of what I truly like about Nicci French but it’s painfully unbelievable. Still, call me weird, I liked it. The story, if one doesn’t want to spoil the book, is told in a few sentences. Miranda has been dating Brendan for three weeks when she catches him reading her diary. She immediately ends the relationship. In a way she is relieved because he annoyed her. He was far too obtrusive and possessive. Brendan takes the break up very badly, still she manges to get rid of him. Or so she thinks. A few weeks later he is introduced to her as her sister’s new boyfriend. She is quite shocked and the idea to have to see him regularly really bothers her but on top of that Brendan pretends that he ended the relationship. What follows is at first manipulation, then pure psychological terror. This premise as such isn’t unbelievable but what is unbelievable is the fact that Miranda doesn’t try to clarify right away who broke up with whom and when she does, nobody believes her anymore. I always find it annoying when a whole plot relies on one person’s silence, a silence at that which isn’t realistic but has to be maintained in order to get the plot moving. If you can forgive this major flaw or if it is in character with you – let’s say you’re the type who always speaks up too late – then you might not find this unbelievable and would enjoy the book because I think there are a lot of really appealing elements in it. Nicci French is really good at creating atmosphere. The change of seasons is captured well and there are a lot of scenes in which Miranda is on her own and they are all nicely created. Plus she is an interesting character. She is independent, attractive, makes a living as a decorator, all things which work quite well. Despite the fact that there are unrealistic elements, Secret Smile was a page turner and I really wanted to find out how it would end. Surprisingly the end is different from what I expected which was a pleasant surprise. As you can see, a mixed bag, but still an enjoyable, quick read. This is my first contribution to Carl’s R.I.P. VII. Here are the links to the posts of the other participants. Thanks Caroline: I just picked up a couple of Nicci French titles (loved Blue Monday) and my impression was that this is one of the weaker ones. There’s a film of this that’s quite entertaining, but I’m not sure if you’ll want to watch it as you know how it ends. Of the four or five I’ve read so far it was by far the weakest. I might still watch the movie and I will certainly read another one. The film is well done. I think it was a television film. Ok, I will see if I can watch it somewhere. Thanks. I may have to look for some books by her since you seem to be captivated. I realize not all novels can be outright winners, so I’ll settle for an entertaining and fast read. Hi, I’ve discovered your blog via a post on Farm Lane Books today. I have read a few Nicci French novels although not this one. I’ve enjoyed them all and found them entertaining page turners. Nice to find your blog. Thanks for visiting, Lindsay. I hope you have reviewed some of their novels, I’d like to know which one to pick next. I even liked this one although it wasn’t too believable. The new series is really good. It totally did as I would have immediately clarified. There is some kind of explanation but it doesn’t work either. The others of her books are really good though. Caroline, how do you feel about pure suspense novels? Mystery, murder, that lot? 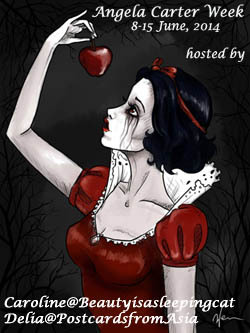 If you are willing to experiment, there’s a website in the name of someone called Emma McCoy on WordPress.com, and though I can’t at the moment recall the title of the novel she has on there for free, it’s rather gripping, and I’ve only read the first two chapters. Naturally having only covered this much, I can’t speak for the rest of it, and it’s quite long, done by subsequent posts to her site. But I thought I might mention it, since you read so fast. It’s definitely not like Hardy or Dickens (i.e., something you HAVE to read–I know what you mean about that kind of endeavor), so since you cover so much so fast, I thought you might like to hear about it as a change of pace. Hope I’m not encroaching on your time, though. No, you’re not encroachin on my time. Thanks a lot for mentioning it. I do like mystery and crime but I like it when the pace isn’t too fast. Some suspense novels have a cliffhanger at then end of every chater that drives me wild. I want some restful chpaters in between. Nicci French does the pacing right. And atmosphere. Unfortunately the psychology didn’t work in this one. I’ll visit Emma’s site. Ah, another book I would definitely not pick up, but you probably know this already, :). I would not only dislike the plot in general, but the heroine keeping quiet about the truth would completely destroy it for me. Ah well, I’ll live. It was annoying but on the other hand, I know people just like her who keep quiet because of weird reasons. I suppose that’s why some people really loved this book. I really do need to read Nicci French as I am sure I would like the her (them..). I sometimes don’t mind when an author makes a great leap of credibility–it depends on whether there are other things going for the story and if they are done successfully–then I can let go of other flaws–that sounds like it’s the case here. Sometimes you just want a good page turner that is entertaining! I’m not always that forgiving but in her/their case I am. I think they really write well and I’m pretty sure you’d like them. I just wouldn’t suggest this as a starting point. Killing Me Softly or the new series are far better. oh…you have started your rip too. I think I have more to share for this year’s rip compare to last year. It sounds like a good thriller…but I would be VERY impatient with the main character. I am the type who speaks straight away and often gets annoyed with the silent type. Nice to know it has unexpected ending. I hope I wil be able to share more this year as well. I even watched a movie but I’m not so sure I’ll review it. It was a bit lame. The thriller part is quite good but it doesn’t make sense that she doesn’t speak. She isn’t a shy person…. Still, overall I ennoyed it and am looking forward to the next one. As usual your commentary is super interesting Caroline. I am thinking that based on your description, the silence that might make people believe that this is unrealistic might really frustrate me. I find myself wanting to jump into the story and yell at the character! That’s exactly how I felt! I wanted to shake her. On the other hand people sometimes think they shouldn’t say something and that leads to disaster. My experience with books written by two authors has not been too good, but I am going to take your word for it, starting with one of the others if this one is flawed. They usually do not disappoint, this was really a one off and compared to a lot of other stuff it was still not bad. You might like the series. Blue Monday is good and Tuesday’s Gone is even better. 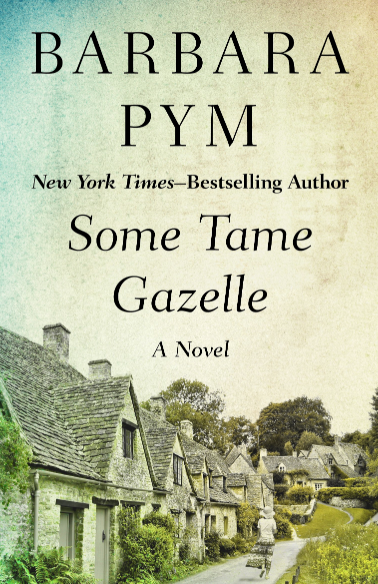 I love page turners, and ‘psychological thrillers’ which this may be in part; thanks for reviewing this new-to-me author. If you like all that you might really enjoy her othe novels. The Memory Game is interesting. Killing Me Softly is very suspenseful (far better than the movie). Oh boy, I can see I am the odd one out here, but I have dreadful trouble speaking up about anything as my gut reaction when surprised or shocked or uncertain is to say nothing, in case I say the wrong thing. So I wouldn’t find it implausible at all and would clearly get shouted at by a lot of people in real life 😦 But I think probably what matters is whether the authors create the protagonist well enough in the first place. If she is clearly someone with an issue in speaking out then it wouldn’t strike the reader as being out of character. I wouldn’t throw a boyfriend over just for looking at my diary either, so perhaps its the combination of a strong move followed by a weak one that jars so. That’s a very good point, yes, indeed, she is quite abrupt in her way of ending the story with him and a very independent character, that’s why I felt, it wasn’t in line with her behaviour. Despite the fact that I’m rather quick in speaking up, I can see that this isn’t how every one would react but in her case it didn’t feel real. But just like you, many people on amazon at least could relate to her behaviour, identified with it and found it very plausible. Is it really bad that I don’t know who the author is? It probably is, but there are just so many writers around these days and I can’t keep up. I’m thinking this wouldn’t be my kind of book, but it’s good that you have a page turner author you enjoy reading. A steady diet of heavy reading can really weigh us down. It’s nice to mix things up a bit. Yes, exactly, I would only have wished that I would have found it more believable. I don’t think you’re much of a crime reader though, are you? That is nice! I guess Nicci Gerrard must probably be the inspiration behind the plots of the stories. It is nice to think Nicci French as a woman – it feels more natural. I suppose it does, yes. Many people don’t even know its a duo of writers. I think i will read one of Nicci Gerrard’s books next. I’m curious to find out whether they are very different. I wonder how you can write a book with someone. Judging from the amazon reviews people like them as much as the Nicci French ones. Great review, I think we share the same opinion about the story. “Killing Me Softly” was much more intense, have you read that? Thanks, Delia. Yes, I liked Killing Me Softly a lot and was quite disappointed by the movie. It’s very stylish but not as believable and good as the book. Have you read Nicci Gerrard? No, I haven’t. It would be interesting to compare the writing styles. Does she write in the same genre? Yes, she does and I was really lucky. We have a “used books corner” at work and I found one of her books there. It sounds very promising. Very rare that you review so many books of the same writer in such a short time. This sounds like Douglas Coupland and that’s not for me. It is but they are sort of reliable, even if it’s not pitch perfect it makes for good entertainment. I wouldn’t suggest this for you at all. If you ever want to try the author, start with Blue Monday.